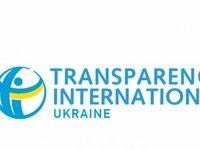 The Ukrainian cities of Ivano-Frankivsk, Kyiv and Vinnytsia have become leaders in the investment sector's transparency rating, according to an analysis conducted by Transparency International Ukraine. "We've analyzed the city councils' websites, how transparent and understandable they are ... the websites and requests for public information were our main sources of information," Anatoliy Kotov, a representative of Transparency International, the coordinator of the Transparent Cities program, said when presenting the rating in Kyiv. According to the investment sector's transparency rating, the top five cities with a high transparency index includes Ivano-Frankivsk, which scored 15 out of 20 maximum points, Kyiv ranked second (12.7 points), then Vinnytsia (12 points), Lviv (10.75 points), and Bila Tserkva (10.7 points) follow. The outsiders are Vyshneve (0.75 points), Stryi (one point), Novovolynsk (one point), Nova Kakhovka (one point), Kupiansk (one point), and Poltava (1.2 points). In addition, seven cities did not provide answers to public information. A total of 17 indicators were identified, some of which related to regulatory policy, work with investors, the city's credit rating, and support for the development of entrepreneurship. The analysis was conducted from July 1, 2017 to July 1, 2018 under the project "Enhanced Public Sector Transparency and Integrity," which is implemented by the United Nations Development Program in Ukraine and funded by the Ministry of Foreign Affairs of Denmark. Data on 100 cities of Ukraine were analyzed.